Check out this special message from PlaceFull Account Manager, Tyson Garcia! Tyson works with dozens of bowling centers to help them avoid double bookings, manage lane availability, and increase their revenue with increased party and event reservations! 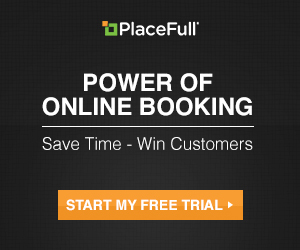 PlaceFull’s online booking solution has been customized to meet your needs and allows you to spend less time on the phone, and more time helping your customers who walk through your door. Are you interested in hearing more about what PlaceFull can do for your business? Schedule your chat today to learn more! Categories: Booking Trends, Bowling Centers, PlaceFull News, Software, Uncategorized | Tags: booking solution, bowling, bowling center, bowling parties, lane management, online booking | Permalink.